I am a broadcast journalist. I was trained up by the BBC then left a staff job to go freelance in 2004. 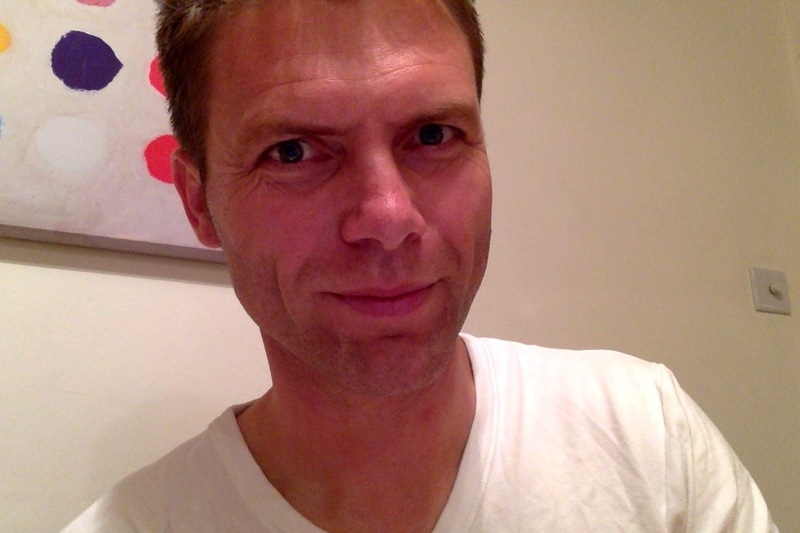 In 2010 I was working at BBC Surrey. In November that year I had a phone conversation with a man called Davinder Misra who told me his pregnant wife, Seema - previously subpostmaster at West Byfleet Post Office - had been jailed for stealing £70,000. He was adamant she was completely innocent. I took the story to my colleagues and we investigated. Seema was not the only subpostmaster who had been prosecuted by the Post Office. Since the installation and rollout of a new UK-wide IT system called Horizon, which managed both the sales and accounting side of the business, dozens of subpostmasters had been accused of stealing money from their own sub-post office, and then either suspended, sack or prosecuted (by the Post Office's own in-house prosecution team) for theft, fraud and/or false accounting. A Computer Weekly investigation had broken the story in 2009, and a now-defunct Welsh-language TV programme called Taro Naw followed it up with an even wider investigation that same year, but things hadn't got any further. I fronted a joint BBC Surrey and BBC Inside Out South investigation on 11 Feb 2011 which uncovered yet more examples of subpostmasters who had been turfed out of their jobs, suspended, sacked, investigated and in some cases criminally prosecuted, all because Horizon posted up figures indicating inexplicable cash shortfalls at their branches. 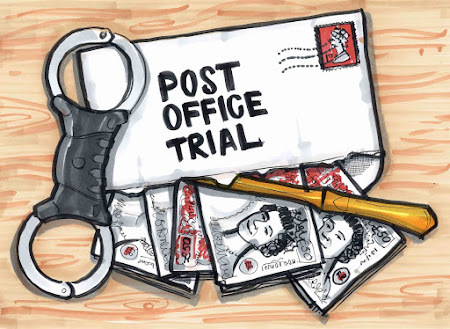 By the time we broadcast our first investigation, the Justice for subpostmasters Alliance (JFSA) was up and running, founded by a former postmaster called Alan Bates who had been turfed out of his Post Office because he refused to take responsibility for the inexplicable cash discrepancies on his branch Horizon terminal. Under the terms of the Post Office contract, postmasters are liable for any losses in their branch, explicable or not, and this gives the Post Office more of an incentive to chase payment for cash discrepancies than spend money investigating potential problems with its IT system. After the broadcast went out I tried to get my colleagues at BBC network interested in the story. I also alerted Private Eye, who printed the first of many pieces in autumn 2011. By this stage plenty of MPs were hearing from subpostmasters in their constituencies who had been sacked or suspended by the Post Office over Horizon issues. The admirable James Arbuthnot, MP for North-East Hampshire, started co-ordinating a parliamentary working group to investigate. Thanks to the MPs and the efforts of the JFSA, the Post Office (wholly owned on our behalf by the government) agreed to commission an investigation by a team of forensic accountants, Second Sight, into what might be going on. Second Sight produced an interim report a year later in July 2013. This prompted my first bit of independent work on the story, which I published on my blog. - a complaint and mediation scheme set up by the Post Office collapsed in acrimony. - Second Sight produced a couple of reports critical of Horizon (and the Post Office's investigation/prosecution process) which the Post Office suppressed, firing Second Sight in the process. - MPs led by James Arbuthnot began jumping up and down with rage, both at what the Post Office had done to its subpostmasters and the way the Post Office had dealt with their concerns. - "the Post Office has been duplicitous. It has spent public money on a mediation scheme that it has set out to sabotage." - "I find the Post Office’s foot-dragging, inefficiency, and years of delay absolutely unacceptable." - "The way in which Post Office senior management have dealt with our working group of MPs has been extremely high-handed. I share my right hon. Friend’s concerns: if Post Office management speak to Cabinet members and senior Members of Parliament in the way they do, the way they treat their sub-postmasters must be feudal." - "The arrogant way in which the Post Office is dealing with this issue is astounding... This is a national scandal." - "The more it goes on, the more we will hear of sub-postmasters ending up in prison or declaring guilt for something that they have not done in order to avoid a custodial sentence. That is not how justice works in this country and it is not how justice should be seen to be working." - "People’s lives have been ruined—decent, honest and hard-working people. That is just not fair. If it happened in any other area of life, it would be a national scandal. It is a national scandal." - "it is clear from what we have heard in the debate that a large number of people have had their life ruined because they adopted accounting practices on the basis of advice given to them by the Post Office." - "the way in which the Post Office has treated sub-postmasters and Members of Parliament who have expressed concern about the matter is so worrying, and to my mind shocking." - "Not only is the Post Office doing this in breach of its word to Members of Parliament and in breach of its duties to the people it works with—the sub-postmasters—but it is undermining and belittling the work of the forensic accountants whom it chose." - "the Post Office has no intention of getting to the bottom of what went wrong. Documents have been destroyed." By this stage I was in regular contact with many of the key players in the story and had been commissioned with BBC South to produce and front a couple of reports for the One Show. As before, the Post Office refused to be interviewed and just continued to state both its faith in Horizon and the manner it had gone about investigating cash discrepancies at its branches. In 2015 Panorama commissioned an investigation into the story. I was brought in as a junior freelance producer, and between us we interviewed Second Sight, Seema Misra, Jo Hamilton (another former Postmaster), James Arbuthnot (her MP), the computer expert used in Seema's trial and a whistleblower, Richard Roll, who had got in touch after seeing my initial report on Inside Out South back in 2011. Mr Roll used to work for Fujitsu, which designed and maintained Horizon for the Post Office. Boy did he have stories to tell about what went on there. Later in 2015 there was another parliamentary debate, but things appeared to be fizzling out, until in January 2016 Alan Bates, on behalf of the JFSA, managed to secure the funding to take the Post Office to the High Court. Over the course of 2016 as he worked with his solicitors, Freeths, Alan was given permission to pursue his claim as a Group Litigation Action, better known as a class action. Now things were getting interesting. On 26 January 2017 the first open hearing was held at the High Court to finalise the details of the GLA. I was the only journalist to attend. In that single day the Post Office made more public revelations about Horizon than they had done in the previous eight years put together. Key among them was a correction to their denial about remote access. The Post Office had always (rather absurdly) claimed that only the subpostmaster had access to their branch account. If a subpostmaster is the only person with access to his/her branch account only they can be liable for discrepancies in it. They make three points :“Post Office does not prosecute people for making innocent mistakes and never has. There is no evidence that faults with the computer system caused money to go missing at Post Office branches. That’ s what they say about that. “Horizon is robust and effective in dealing with the six million transactions put through the system every day by our postmasters and employees at 11,500 Post Office branches. It is independently audited and meets or exceeds industry accreditations. There have been 500,000 users of the system since it was introduced. Nevertheless, rigorous re-investigations were undertaken into claims made by 136 mainly former postmasters that the system caused losses in their branches. There is overwhelming evidence that losses complained of were caused by user actions including, in some cases, deliberate dishonest conduct. The investigations have not identified and transaction caused by technical fault in Horizon which resulted in a postmaster wrongly being held responsible for a loss of money. Senior Master Fontaine : Of the same bundle? Senior Master Fontaine : Yes. Mr Green QC : It’s paragraph ... it’s under section b which is Data Integrity and Remote Access. Senior Master Fontaine : Page 961 did you say? Mr Green QC : 968. Senior Master Fontaine : Sorry. Y es. “Balancing Transactions: Fujitsu, not Post Office, has the capability to inject a new transaction into our branches accounts. This is called a balancing transaction. The balancing transaction was principally designed to allow errors caused by technical issue in Horizon to be corrected. “A balancing transaction can add a transaction to the branches accounts but it cannot edit or delete other data in those accounts. Balancing transactions only exist within Horizon online, not the old version of Horizon, and have only been in use since around 2010. Their uses logged within the system is extremely rare. And not being a branch operated by one of the claimants. “Administrate Access to Databases. Database and server access and edit permission is provided within strict controls, including logging user access, to a small controller number of specialist Fujitsu, not Post Office, administrators. As far as we’re currently aware privileged administrator access has not been used to alter branch transaction data. So the idea that it was not possible to do this turns out to be untrue and of course Post Office is saying that it hasn’t actually happened more than once recently and that they’re finding out about administrative access to databases. Senior Master Fontaine : Y es, I see. Mr Green QC : ... for that reason, to make it clear. Senior Master Fontaine : Y es, yes. Mr Green QC : Master, there’s no more I can say on the rationale for spelling it out and I think it’s a ... it’s wholly unrealistic to exclude defects in, or remote access to, the Horizon software system from this GLO because, along with training, that’s what it’s about. So we don’t understand their position. Senior Master Fontaine : Yes, thank you. Mr de Garr Robinson. Mr de Garr Robinson QC : Master, first of all, could I just deal with the remote access point? The letter to which my learned friend took you to was, as you might expect, written by people who thought it was correct. The Horizon system is a very complicated system. It involves lots of departments in ... both in Fujitsu and in the Post Office. And the people who are responsible for the correspondence didn’t know that, in fact, there were these two other routes. Very few people at Post Office knew that there were these two other routes. They were ... they were routes that are under ... essentially under the control of Fujitsu who’s the expert independent contractor that is involved in the operation of the system. And it is a matter of enormous regret that the people who wrote that correspondence and made those submissions weren’t aware of that but, you know, we are where we are; the point is that, the point having being discovered, the Post Office wasted no time in ... in bringing the truth ... the accurate ... and accurate set of facts to the knowledge of the claimants. There will undoubtedly be more revelations to come in the trial. If no one is there to report it in detail, the story will not get the audience it deserves. There are tens of millions of pounds at stake for the Post Office and there are heartbreaking stories of subpostmasters who have lost everything. There is also the strong possibility that the judge decides the Post Office did everything they did all right and proper and there really is no story here. Watching and reporting the process which leads to a conclusion like that is vital, because then we will know more about why it is fair. If you want to read the Post Office's perspective on the story, they've posted quite a bit on their own website. So there you go. If you've read this far, feel emboldened to chuck a few quid in the bucket to support my reporting of the trial. If you have any questions, read the above links, click around the Horizon timeline or message me via the form on the right hand side of this blog.